This lemon garlic and dill combo is amazing! 2 tbsp dill, 2 cloves of garlic pressed, 1/2 tbsp dijon mustard, 1/2 tsp salt, 1/8 tsp pepper, 1/8 c olive oil and 2 tbsp lemon juice. Slice salmon into even portions lay them onto a lined baking dish with the skin-side-down. 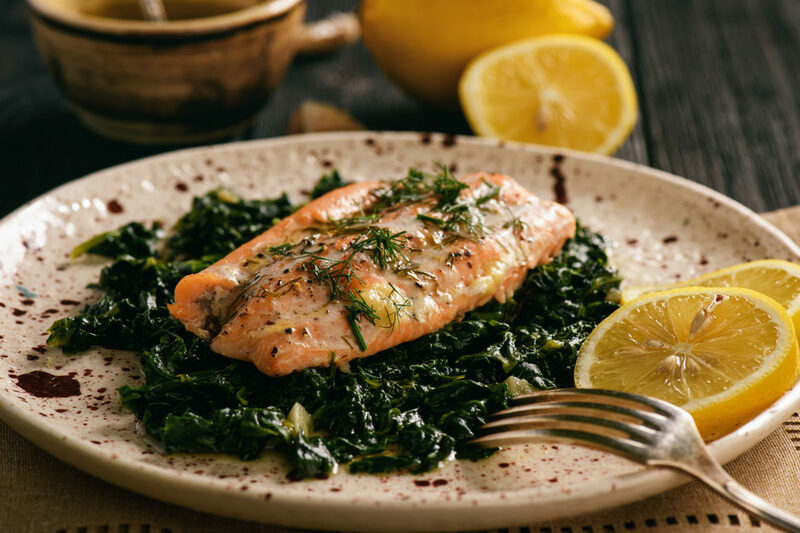 Generously brush all sides of salmon with sauce and top with fresh lemon slices. Bake at 450 for 12-15 min or until just cooked through and flaky.